Welcome back to Mega-Depth! For this article, I thought I’d venture into something new: my first book review. I don’t know if I’ll do a lot of these, but there’s one book that I just had to write about. This isn’t a book written by someone who didn’t know the band so well. This is one of those rare books whose content you can enjoy with full confidence in its authenticity. 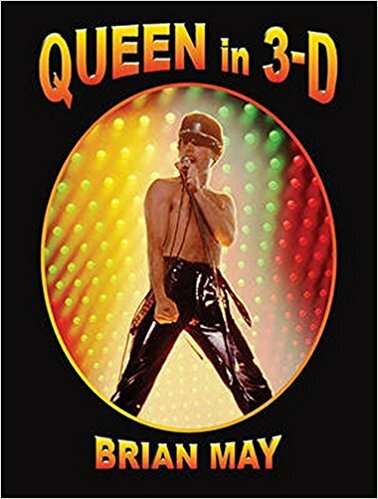 I’m of course talking about Queen in 3-D; a book written by Brian May himself, featuring 3-D photos that either Brian or someone close to the band took. There are lots of great images and anecdotes. I had a great time experiencing it. Now it’s time to share that experience with you! All images in this book come from Brian’s personal archives. There are over 300 photos and, outside of a few that were printed earlier to be sold on the LSC website, most of the images were previously unseen! Brian also explains how he took these photos, you can even find out what type of camera he used for specific photos. To be perfectly honest, I didn’t know what stereoscopic images were until I heard about this book. They are stereo images; as in, two images that seem to be identical, but are actually slightly different. When you are exposed to these images without any device with which to view, they seem like ordinary mono images. You can even find yourself wondering why there’s two of the same thing. But when you view it with a device that is meant for these stereo images, the two become one and give you that 3-D feel. You start getting a sense of depth and all the objects around the subject start to appear with more clarity. Of course, don’t expect the kind of 3-D you experience with the current virtual reality devices. But for something that started in the early 1800s this is a spectacular experience. 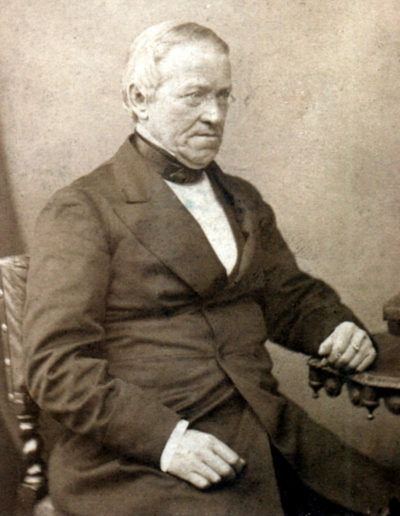 You can read more about stereoscopic images in the book; but essentially, it all boils down to one man named Charles Wheatstone. He was one of the first people who wondered: if our two eyes see slightly different images and our brain is able to fuse them together to give us depth perception, why can’t we replicate it with images? He couldn’t prove it with photos at first (because photography hadn’t been invented!) but he drew almost identical pictures from slightly different angles, and then realized that he could indeed replicate 3-D vision! Later, when photography was invented, he ran his experiment again which resulted in another successful transformation! 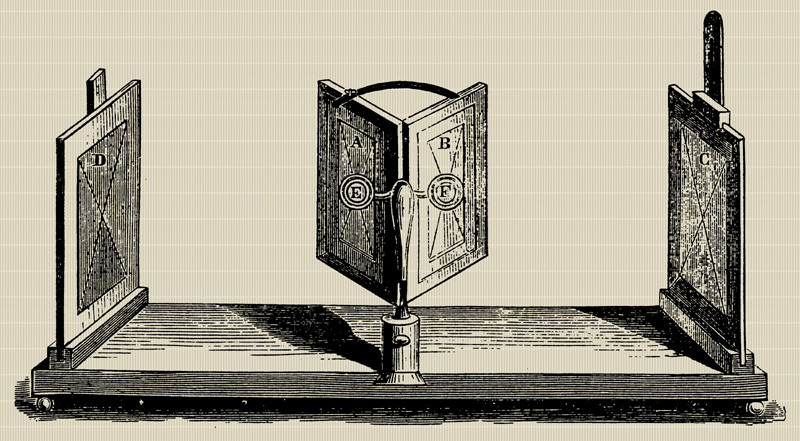 Thus, today’s stereoscopy owes pretty much everything to Wheatstone’s moment of epiphany. There are two ways you can take these photos. You can buy a camera that actually has a dual lens, so with one click you can have those two slightly different images. But you can also achieve the same effect with a single-lens camera, which is what the majority of people have. 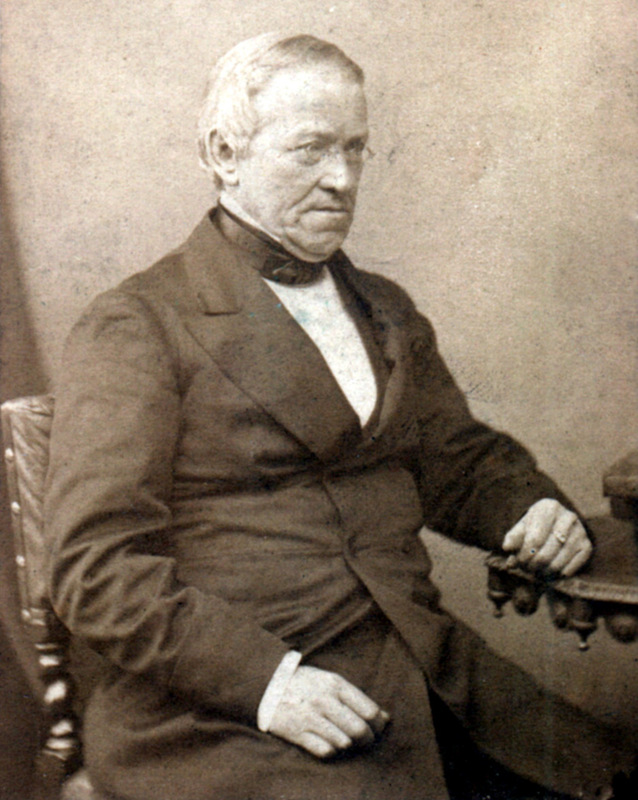 But with a single-lens camera, it is imperative that the subject remains somewhat motionless and the photographer finds a slightly different angle. It’s a little more intricate but doable. 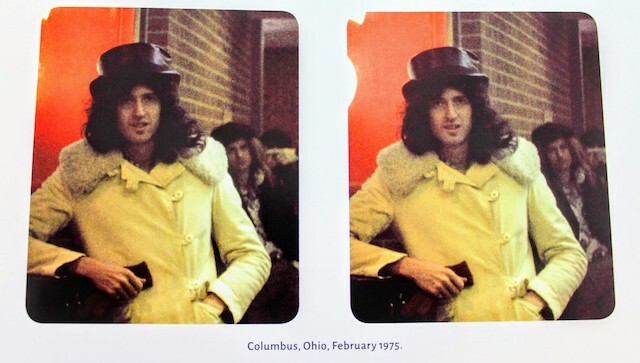 A decent chunk of Brian’s 3-D images in the book was shot with a single-lens camera; especially the ones he took before Queen started making higher revenues. 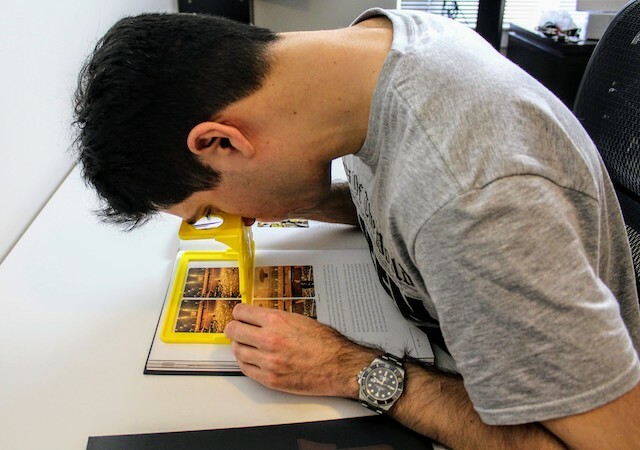 When you buy the book, you also get something called an OWL viewer. 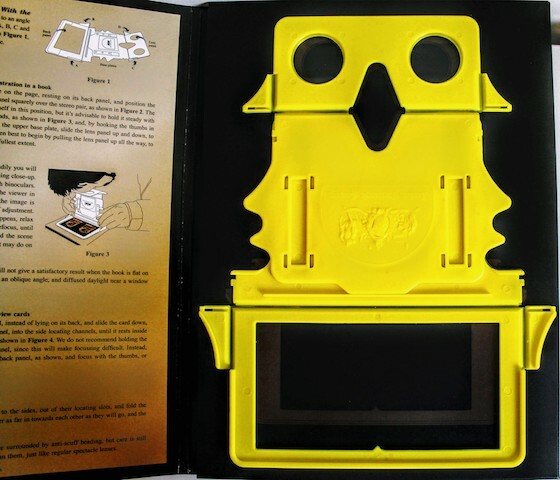 The OWL is a stereo image viewer that was also designed by Mr. May himself. There are instructions on how to use it, but it’s intuitive so you can probably just get started. (You can use the same viewer to view other stereo images you may buy in the future) You are told to “relax your eyes” multiple times in the book. It took me a while to get what they meant by it, but you realize a little later. Because at first, you will want to see the 3-D image right away and force yourself. That didn’t work for me; I kept waiting to see the depth in the image and it just wasn’t really happening. I could see the two images become one, but not really the full depth. But once you let go, relax, and let your brain fully take over, the magic happens! So, if at first you are not impressed, just give it another try and take Brian’s advice when he tells you to “relax the eyes”. The depth is quite amazing – especially when you realize most of the photos in the book are from the ‘70s! By the way, apparently there is a way to view the images in 3-D even without a viewer but it’s much trickier. I personally couldn’t do it. There are instructions in the book for you to try, but since you have the viewer itself, I don’t really see the point. If you want to challenge yourself, though, that option is there! The kind of photos and anecdotes you get in this book, are through Brian’s own perspective. The detail you get is something you won’t get in any other book. I can say that confidently because I’ve read numerous books on Queen and Freddie Mercury. Brian focuses on how the band traveled, how they interacted with local audiences around the world, how they did interviews when the band was not super popular, and how their lifestyles changed after they conquered the world! And you get 3-D photos to go with these anecdotes so they’re not just words, they’re visual pieces of evidence of Brian’s experiences. I enjoyed it a lot – I spent about 2 days going through every photo with the viewer and read every bit of info Brian gave me. You learn a lot. While reading the book, you can almost hear Brian talking to you. That’s because there’s no ghost writer here – it’s just Brian recalling certain events as each photo gives him reminders of a different era. The language is clear, it doesn’t pretend to be literary; it’s easy to digest. I wish there was an audiobook version of this, so we could actually hear Brian take us through the photos. But alas, there isn’t any, as far as I know. 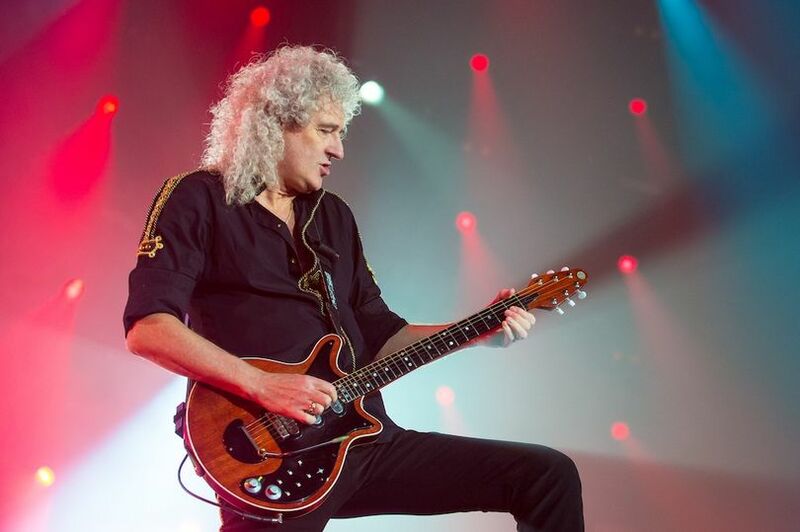 So, you’ll have to imagine Brian’s voice as you’re reading…which, for a Queen fan, isn’t that hard to do! This book is a lot of fun. You don’t just read it, you get to experience it. It’s just a completely different way of looking at one of the biggest rock bands. Suddenly, images from the early days come alive! There are some photos from Brian’s childhood that I thought were fascinating. You can see how big of an influence his father was, and still is, to him. Then, of course, there’s Queen! There’s Freddie and Roger at an airport in 1975, there’s Freddie pretending to be a pilot, Brian taking selfies before selfies were popular, lots and lots of gifts fans gave them during their tours, some incredible live shots, and of course, a lot of photos that show how much fun these guys had. Queen is so popular that there are a million different photos of them out there; but nothing like these. A lot of times, when a band does photo shoots, they are a bit more guarded because those photos are usually staged. But since these were taken by Brian or someone close to the band, they show a completely different side of the band. Nobody feels the need to be guarded, they don’t have to pose for anybody, it’s just them being themselves. Of course, the reason why we don’t just call this a photobook is because there’s a lot of written pieces. Brian takes you through what’s happening in certain photos. He also sometimes uses the photos as cues to recall certain events and gives you lots of detail. I particularly appreciated how sincere he was about some of the disagreements the bandmembers had. One thing that I’d always wanted to hear or read from Brian was what he thought about Freddie’s solo album (Mr. Bad Guy) and the whole era that surrounded it. He’s incredibly candid there. And I am always amazed at his ability to look at the bright side of everything. The book focuses on the 1970s, I think it’s fair to say that. There’s also quite a lot from 1979/80 when the band was working on the Flash Gordon soundtrack, as well as The Game; but the level of detail and the number of pictures decrease as the years go by (although there is a detailed and hilarious chapter on the video for It’s A Hard Life). And there isn’t anything beyond 1986 with the Mercury-Deacon line-up. I think it’s because Brian focused on photos from the various tours Queen did, and, sadly, the band wasn’t able to tour after their run in 1986 due to Freddie’s illness. If Brian took any photos from the Miracle sessions, I’d love to see those someday. It’s one of my favorite albums and I’d love to get a sense of what the sessions were like. The book closes with some photos from the two Queen+ incarnations the band has gone through; one with Paul Rodgers and one with Adam Lambert. I’m sure some will find these interesting too, but that’s not why I bought this book, so I didn’t spend too much time on those pages. Nothing against Rodgers or Lambert; I support Brian and Roger’s desire to play these legendary songs with whomever they want. And I think Lambert is doing a much better job than Rodgers did. But when it comes to this book, I was more interested in reading about the 4 people who built the Queen legacy and getting more insight on how they spent their time off-stage and what some of the internal conversations were. Everything else was secondary to me. Luckily, I got plenty of content on exactly what I was looking for! No matter how you look at it, this is a treasure for Queen fans. These are not the kinds of photos you will find elsewhere. If you are just a casual fan, you might still enjoy it; but some of the insights will make more sense to people who already know the cast of characters and what they are known for. At least that’s the way I see it. 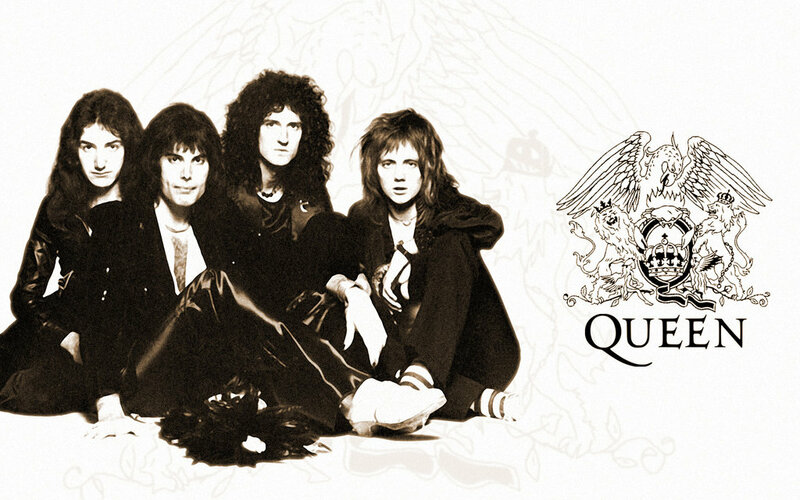 I’ve been a Queen fan since ’95, when I was only 10 years old. I didn’t know anything about rock music, and suddenly these 4 incredible musicians entered my life. It wouldn’t be an exaggeration to say nothing was the same after that. I’m thankful for the gift they’ve given us. Queen in 3-D is one of the best official releases that commemorates the illustrious career of this iconic band. Worth a read…and a look!